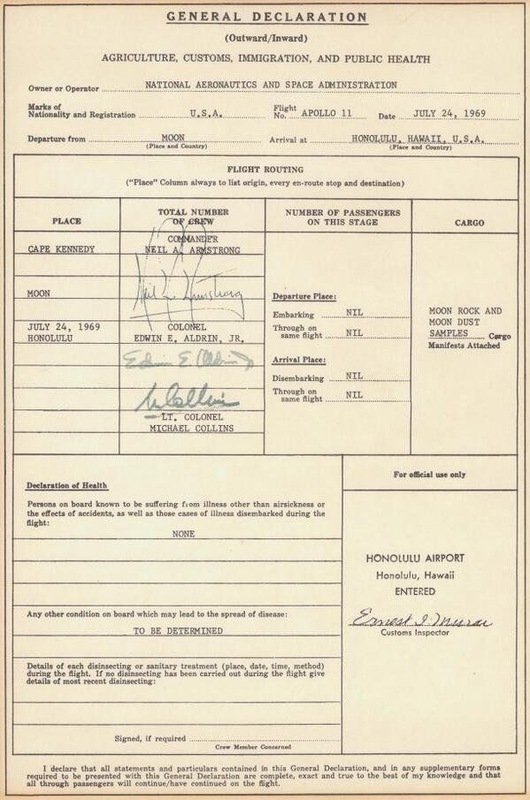 On their way back to home on Earth on July 24, 1969, Armstrong, Aldrin and Collins could not escape customs. It’s for real, even though it was a joke back then. This entry was posted in Fun, History, Space and tagged Aldrin, Apollo 11, Armstrong, Collins, Nasa, Space, US, USA. Bookmark the permalink.